Because not every day is a rainbow day, we present you with our "Darkness" T-shirt. 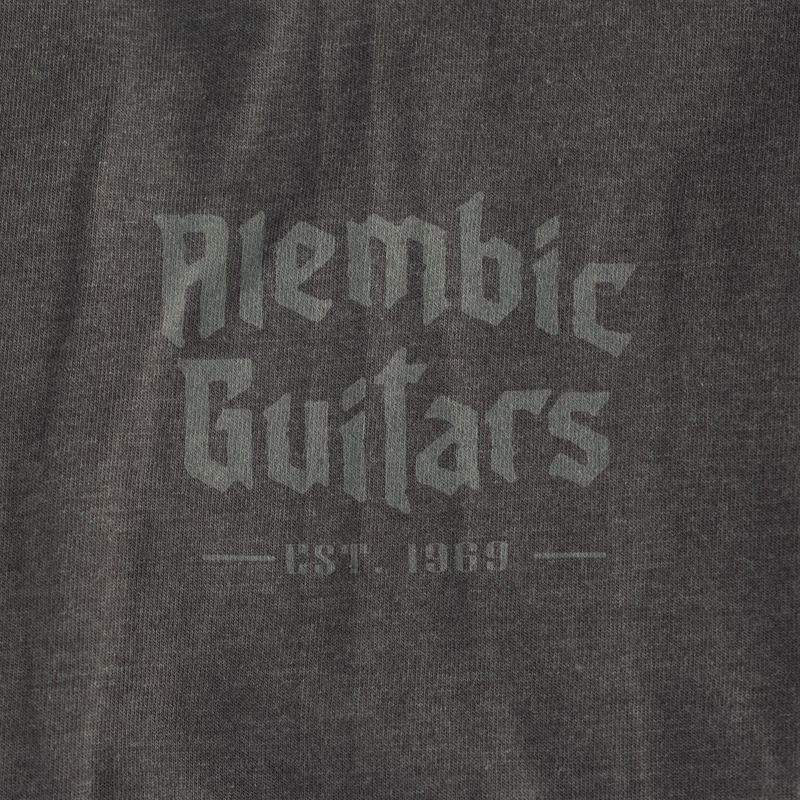 Alembic logo screenprinted on the front of a charcoal heather Hanes shirt in cement and black. Alembic Guitars Est. 1969 on right sleeve, and alchemical symbols down the left. 60% cotton 40% polyester. Locally printed in Santa Rosa, California. 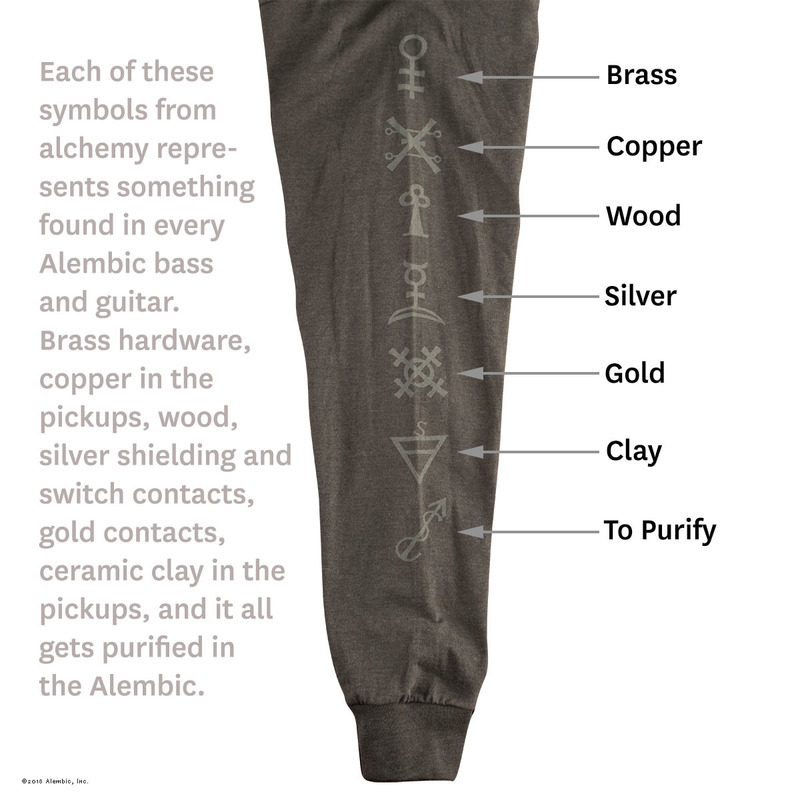 Each of the symbols represents something found in every Alembic bass and guitar: brass, copper, wood, silver, gold, clay, and to purify.